Women Drinking Beer has had a pretty busy September, at least the first half of it! As of today we've posted 11 episodes, gained new followers on Instagram and Twitter, and have attended multiple brewery events. We've learned so much since starting this podcast, it's amazing: about beer, about beer drinkers, about tackling social media, and about taming the editing process. I hope that anyone that has been listening since the beginning can hear the changes we've made! We want to keep getting better, so keep giving us feedback please! Enki Brewing (09/02/2017): A half hour drive southwest from the cities, Enki brewery is a destination worthy of the drive. 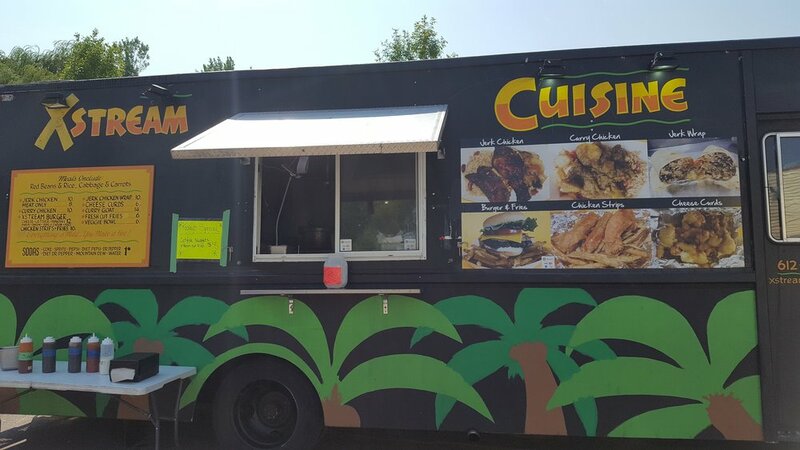 The have a patio and deck, ample parking, food truck every day, friendly staff, board games, outdoor games, and VERY TASTY BREWS. A lot of the beers had a sweetness to them which we both enjoyed, our favorite being the small bath choko-hoot rich with chocolate flavor in a sparkling yet creamy ale. cheers to a giant balcony! This burger looks like it ould take a bite out of you, so monstrous and tasty! Labor Day Episodes on Episodes on Episodes (Labor Day Weekend 2017): Because Cathy is a full time teacher and now a part time grad student we wanted to get a bunch of episodes recorded to take some pressure off of her. We recorded the Enki and Oktoberfest episodes on Saturday and the Pumpkin Ales on Monday. So much beer was had and we recorded for the first time in my apartment rather than at Cathy's. Rails and Ales (09/09/2017): This was SUPER FUN! Cathy and I in many ways became the good friends we are today because we went to this together last year, and is probably what got us started on the road to our podcast. We met and schmoozed with all the people, even self-proclaimed introvert Cathy chatted with friendly ladies and gents and handed out our new WDB magnet pins! Extra sentence for an EXTRA day: We had so many tasty beers and were even kind of a small celebrity feature at Tin Whiskers with people actually asking us if we were the "Women Drinking Beer" and it was awesome! 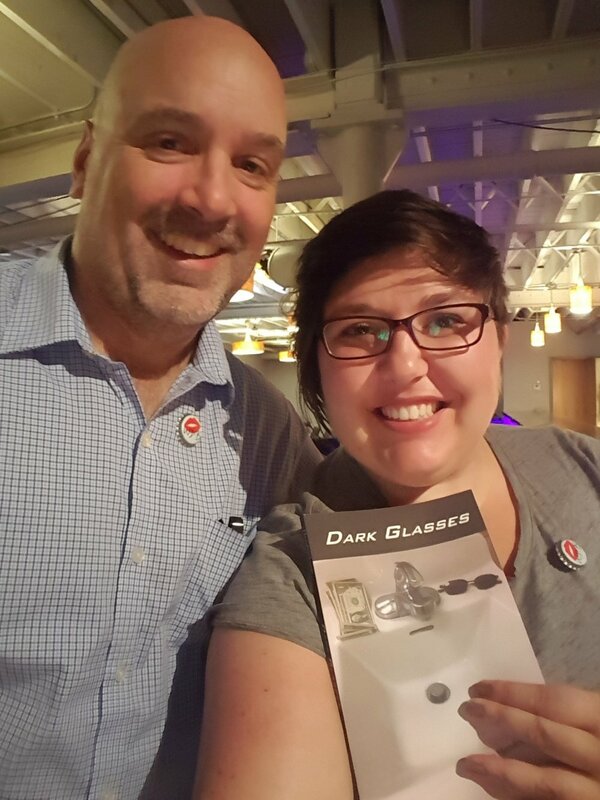 "Dark Glasses" Premier Reading and Book Signing by Author Dan Hendrickson at Sisyphus Brewing (09/18/2017): A friend of the family and former o-worker wrote a third book of poems which he self-published. Dan has a dry, self-deprecating with peppered heavily with Dad-humor. Sisyphus is just down the road for me and I enjoyed both a stout and a centennial, and both were excellent selections. Lift Bridge Brewing Stillwater, MN (09/21/2017): A short trip outside the ities, this time almost due east by about 25 minutes. Again, I wanted to make sure one of us had first hand experiense of the brewery whih was homey, like stepping into a well lit abin. The beers were sessionable in flavor and weight, all around another solid Minnesota brewery worth the small trip! A very busy September indeed! Thanks for everyone's support on Faebook, Instagram, Twitter, and of ourse to old friends and new!